Owning a swimming pool is magnificent, there’s no other way to describe it. Owning a pool can completely change your lifestyle, allowing you to enjoy more time outside with your family and entertaining your friends and colleagues. But that doesn’t mean that it’s without its complications, especially if you don’t have a qualified team to help you if issues do arise. Whether you’re buying a new home or want to check on your existing pool, getting an inspection can be incredibly helpful. Although as a homeowner you’ll be able to spot some issues and possibly even remedy them yourself, most complex problems need expert help to solve especially if the problem exists in the pool systems or infrastructure. 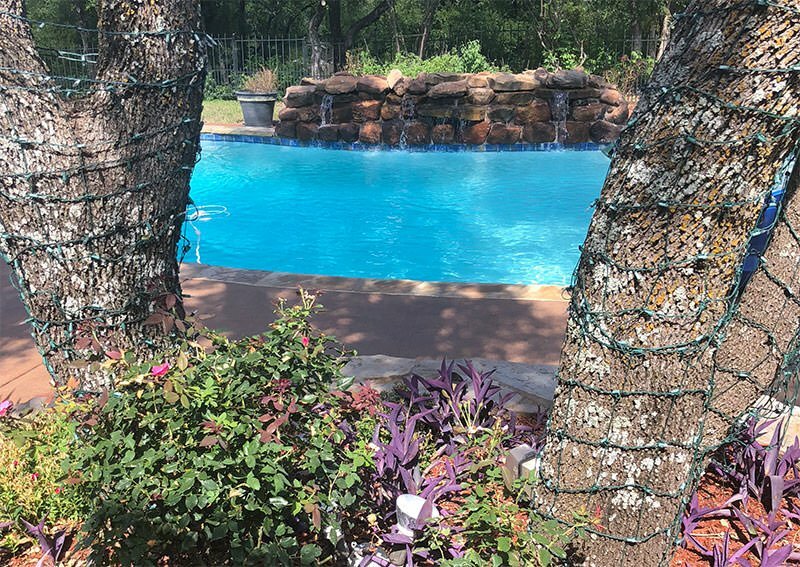 Perhaps the most common reason why we are hired to inspect pools in The Dallas-Fort Worth area is for families who are interested in buying a new home that comes with a pool. If you don’t know the history or condition of the pool not only is it highly recommended that you get a pool inspection, it might even be required to by your local government or mortgage provider depending on your jurisdiction. Before you close escrow, you want to know the pool, and it’s condition inside and out so that you can budget more accurately for the upkeep and maintenance of the swimming pool. Even if you’ve owned a pool before and have experience, it’s wise to call our pool inspectors who can check for the problems that we commonly find. It doesn’t have to be expensive either, depending on where the home is located in the DFW metroplex we charge between $95 and $125. Hiring a pool inspector can save you thousands down the round because it gives you information about the pool and what maintenance needs to be done to prevent issues from arising. A thorough inspection by our team will highlight key issues including the elevation of the deck, the condition of the interior surface and the functionality of the pool pump and systems. Typically mortgage providers will require you to hire a pool inspection team like ours to check out the quality of the pool and its systems before they will give you a mortgage. Contact Willsha Pools to schedule a pool inspection. Do you Need a Swimming Pool Inspector? We get it, buying a house and maintaining a pool isn’t cheap, and you might be looking for ways to save money but we would not recommend being frugal by skipping a pool inspection. A pool inspection is an investment in the safety and condition of your pool, the same way that you might hire a structural engineer to look at a crack in the wall of your home or potential new property. If you’re looking at buying a new home, a home inspector will look for common problems that might occur, providing you the buyer with a report. A swimming pool deserves the same attention so that you can properly evaluate and value the condition of the pool and know what you’re getting yourself into. It’s not uncommon for seemingly fine pools to have underlying problems that can cost hundreds or thousands in the future. With a pool inspection, you can be aware of these problems beforehand so that you can pull out of the deal or ask for a reduction in the price. Plus, it will only cost you between $95 and $125 depending on where you’re located, making it a smart investment. The same is true for a pool in your existing home. If you’re worried about a potential problem or just want to get a yearly inspection to keep an eye on the condition of your pool, a pool inspection is cheap and quick but can save you money and time down the road. Call us today and find out how little it will cost for our experienced team to come to your home and check out the condition of your pool, the equipment, and the necessary infrastructure that’s used by the swimming pool. Regardless of how a pool might look on the surface, without taking a deep dive (sometimes literally) and looking at the condition of the pool and it’s surrounding it’s impossible to tell its true condition. Our inspection team knows what to look for and is likely to spot issues that you would otherwise never notice as signs of deterioration or disrepair. The biggest difference between looking at the pool yourself and having our team inspect it is that we know what to look for and where to start. 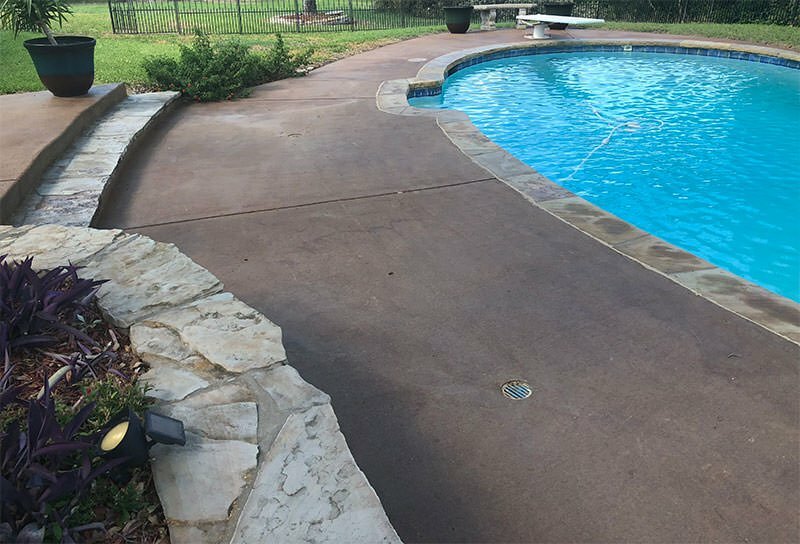 While the surface of the pool is incredibly important, it’s the small cracks in the grout between stones, the uneven spots on the deck, and the other signs of potential problems that we’ll identify that you are unlikely to. We can also identify what is causing the issues and what potential problems could arise in the future. The interior finish or plaster or the interior of the pool is typically made out of marmite, quartz aggregate or pebble. These three different types of plaster have unique pros and cons, and they wear and tear in unique ways which are hard to identify with the inexperienced eye. The finish on your pool plaster should be smooth, free of any marks, large streaks or roughing. In some cases, you might need to completely resurface your pool. You might also spot small hairline fractures or cracks along the plaster which while completely normal with an aging pool, could potentially turn into a more serious issue. This is where our team steps in, we know the difference between a developing crack and one that is expanding and could be indicative of a dangerous structural problem. Willsha Pools also have the equipment to detect leaks and determine what is causing your pool to lose water. Leaks could be caused by faulty pool equipment that needs to be repaired or cracks in your pool surface. We’ll also want to take a detailed look at the tile in your pool. The tile exists to waterproof the pool structure and for decoration. We’ll be looking at the individual tiles, the grout and the mortar that’s used between the tiles to identify any problems or sharp edges which could cause very serious cuts, especially on young children. After examining these interior elements of the pool, we’ll step out and inspect the coping which is the decorative element that hangs over the pools perimeter edge. The coping can also cause injury, especially if it becomes sharp and is being held onto by a younger child who might not swim as well. It’s not just the pool itself that we inspect; our swimming pool inspection also includes a walk-through of your decking regardless of whether it’s wooden, stone or concrete. The condition of the pool decking is important, but it’s not as critical as the position or elevation of the decking. The goal is to prevent pour-in so that the water is directed away from the pool so that it may run away properly and not settle in one place. Effective drainage and healthy mastic is no laughing matter because without it you can get uneven gaps which can be a safety concern and structural damage to the pool shell. Oftentimes, a pool deck might need to be repaired or resurfaced due to peeling or cracks starting to form. 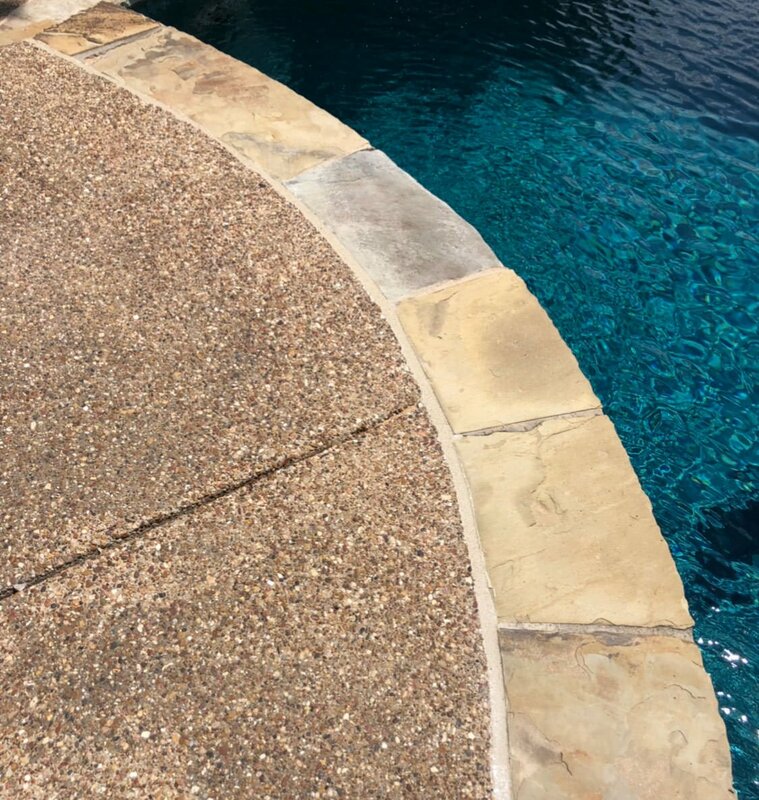 It is best to repair cracks in the pool deck before they turn into larger problems. Now we’re getting to the serious stuff which homeowners are unlikely to check regularly and where problems often go unnoticed. Unfortunately, these problems can also be the most costly, and therefore it pays to spot them early and fix them before they become more serious. The equipment that powers your pool can break down or degrade, and if you’re buying a new home, you should take a look under the hood the same way you would if you were buying a car. The pump is vital for the operation of your pool because it ensures that the swimming pool has necessary water flow for filtration and circulation of water. What this means is that it ensures that the water is safe for you and your family to swim in. If you have any pool features like waterfalls or pool cleaners, they are also likely powered by the pump and therefore are also at risk of breaking if the pump malfunctions. Our team not only inspects the pump in your pool but can also give you an estimate as to how long it might last and make recommendations for a new pump which could save you money. Secondly, we’ll also inspect your pool filter which captures the dirt and muck which gets into your pool. 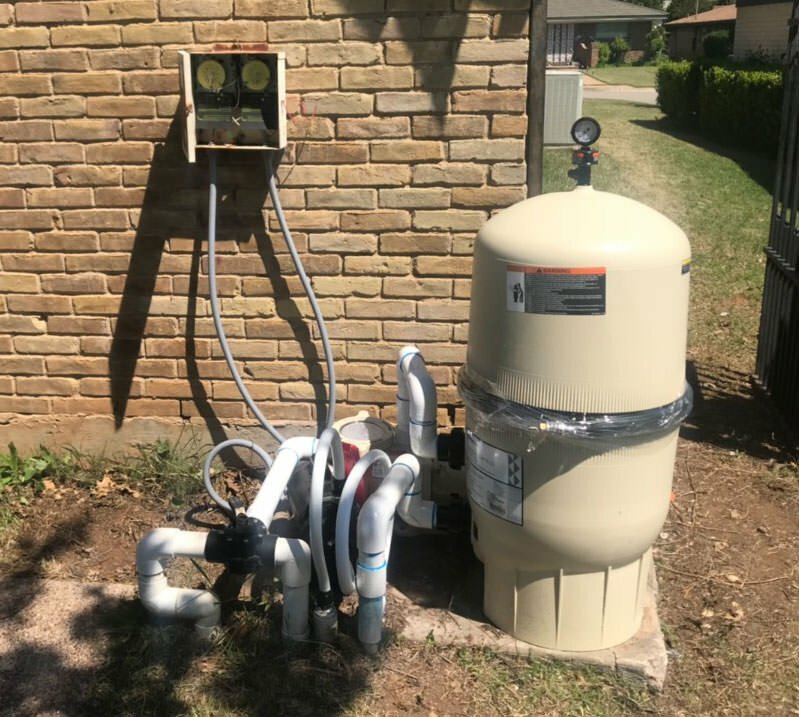 These filters are vital to the safety of your pool, and you’d be surprised at how many homeowners have poorly operating filters without knowing it. If you notice that the dirt is being removed, but not as efficiently or quickly, it’s likely that there is a problem with your filtration system. Our team is trained to look for these types of problems and will be able to quickly figure out if the gauge on the filter is working properly if there are defects in the clamp to the filter tank and how much longer the filter should last. Willsha Pools will look over and inspect all of your pool equipment to determine the health and any issues. Our team can also replace or repair your pool equipment if something is not currently working properly. Willsha Pools has years of experience cleaning, building, and remodeling pools which is why we’re confident that we’ll be able to identify any issues that you might have while doing an inspection. If you are buying a home or just want to get a checkup on your pool, contact Willsha Pools today!